Google does not seem to stop changing their lame new Google Bar. At least this time it was for the better by bringing back the top black bar for quick links. Anyway, this update broke the PimpMygReader script. Well, it is now updated and all I think are fixed. The difficulty this time is that Google has decided to implement multiple css schemes depending on screen size AND browser type, so I had to make adjustments for small and larger screens for both Firefox and Google.... So much for working towards standards. Fines for surfing in the Med - what's next...You can ski, but only when it is hot in the summer? The city of Barcelona will fine surfers for being out in the waves. This is because the surfers are considered "bathers" and all bathers must follow the posted instructions and respect the flags. Well, for the average tourist who has no idea about surfing, perhaps they should not go in the water when a red flag is posted. What City Hall (Ajuntament in catalan) does not seem to understand is that surfers need "surfable waves" in order to surf. It is like giving fines to dancers for dancing at a dance hall because it is not safe for the people who are walking to the bar for a drink. Or fining skiers for being on the ski slopes because it is cold outside... you know less than 60ºF (15.5ºC). The fines range from 700-1500€ per instance. This is so pathetic. What's worse is that we are talking about the Mediterranean! 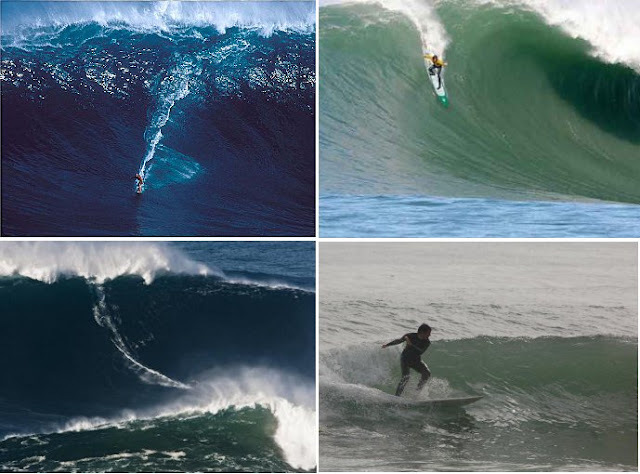 This is not Hawaii, Mavericks or even Portugal.... this is the home of the "mediometrismo" (1.5 ft. sets). Although I have to say that living here has been pleasantly surprising with the amount of "surfable" days there are per year, we are still only talking 2 to 4 days a year of true overhead surf. Even then you will be hard pressed to find many DOH+ sessions near Barcelona. I understand if they want to fine/charge people who need to be rescued, but in no way does it make sense to fine someone for being in the water exactly at the moment when they need to be in the water. Going back to the mountain example. If search and rescue need to go save you because you ignored all the signs and you get lost, OK... let them make you pay for the public services. But if you are going down the bunny hill, no one should be racing to make you pay the government. May the wave gods help us all.